The Texas Constitution provides that “[n]o person’s property shall be taken, damaged or destroyed for or applied to public use without adequate compensation being made.” Tex. Const. art. I, § 17. 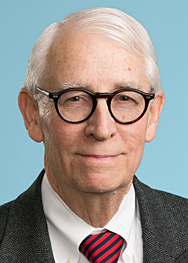 The Texas Supreme Court has effectuated this constitutional imperative by requiring payment of the “market value” of condemned property, which it has determined is “the price which the property would bring when it is offered for sale by one who desires, but is not obligated to sell, and is bought by one who is under no necessity of buying.” The court has recognized that an impending condemnation project can distort the value of property. The nflationary effects referred to as “project enhancement” in contrast to deflationary effects which are referred to as “condemnation blight” or “project diminishment.” Since neither reflects true “market value” of the property—”what a willing buyer would pay a willing seller under market conditions”—the project-influence rule evolved to ensure that such components are removed from a market-value determination. The project-influence rule is intended to ensure that the property owner is made whole—”not placed in either a better or worse position than he or she would have enjoyed had there been no condemnation.” Recently, the Texas Supreme Court was called upon to consider whether the State’s role in delaying the cleanup of contaminated property should be a factor considered when determining the market value of condemned property.On April 1, the Texas Supreme Court, in Caffe Ribs, Inc., v. State of Texas, in a unanimous decision, held that the trial court, in a condemnation proceeding, abused its discretion when it excluded evidence of the State’s role in delaying the cleanup of the contaminated property that was relevant to the issue of the market value of the property. The Court found that the trial court improperly applied the project-influence rule and, moreover, that the Court of Appeals for the Fourteenth District of Texas erred when it found that there was no “harmful error.” The trial court “allowed the State to use an eight-year holding period to reduce the property’s value without allowing the jury to consider the role the State played in creating that holding period,” and “[t]his harm was compounded by the State’s repeated assertions that [the previous owners] were simply ‘trying to spend as little money as possible’ or ‘stalling’ in their cleanup of the property.” The case has been remanded to the trial court, providing the property owner with an opportunity to establish a higher valuation of the property. The petitioner purchased the property in 1995, knowing that the property was contaminated and had to be cleaned up in accordance with the rules and procedures of the Texas Commission on Environmental Quality (TCEQ). Environmental specialists were engaged to handle the cleanup and, in 2000, the source of the contamination was identified, and the property was placed in the TCEQ’s Voluntary Cleanup Program. Various reports were filed, but TCEQ was not satisfied with the initial cleanup efforts. Indeed, in 2003, TCEQ informed the property owner that additional groundwater monitoring wells must be installed. In 2003, the State also informed the property owner that it intended to condemn the property or some part of it to facilitate the expansion of Interstate 10. Nevertheless, the owner continued with the TCEQ cleanup. Thereafter, the State notified the property owner that its condemnation would require that all such groundwater monitoring wells be plugged and abandoned and no new monitoring wells could be installed until after the highway expansion project (the construction of a stormwater detention pond) was completed. In 2005, the State initiated statutory condemnation proceedings which would result in an evaluation of the value of the condemned property. At trial, the State’s witnesses testified that it would take eight years to clean up the property to make it marketable, and therefore its market value should be discounted to account for this delay. As rebuttal, the property owner offered testimony that it was the condemnation project itself that is delaying the cleanup, and the court should allow this evidence. However, at the State’s request, this evidence was excluded, and the jury determined the value of the condemned property to be almost $5 million compared to the almost $10 million sought by the property owner. On appeal, the Court of Appeals agreed with the trial court that if the exclusion of this evidence was erroneous it was harmless. This decision should prove very important to Texas property owners facing condemnation proceedings.